We know that hydration is important, our body is depend on water to survive. The easiest way to drink more water is by carrying water bottle everywhere and instead buying bottled water every day, it is better to carry a vacuum water bottle that can be washed and reused again. However we should be carefully when choosing the bottles, since not all of them are meets the standards of a good bottle. If you want to purchase a new water bottle, let us introduce you to two good vacuum insulated water bottle, which are Hydro Flask and S’well. Every tissue, organ and cell in our body need water so they work properly. Small example, our body uses water to maintain its temperature, removes waste and lubricate the joints. Most people are recommended to drink water from six to eight glasses per day. However the exact amount of water needed may differ from person to person. Commonly healthy people will be able stay hydrated by drinking water or other fluids when they feel thirsty. Some people may need a few glasses to stay hydrated and other may need more than eight glasses per day. The easiest way to check, whether you are drinking enough water or not is by checking your urine. If your urine has a clear or light yellow color, then you are well hydrated, but when the color is dark yellow or amber color then it means you need to drink more water. Hydro Flask is a vacuum water bottle that will keep your water colder or hotter longer. The bottle has unique double wall vacuum insulation that will keep the temperature of your beverage stay longer for hours. Cold drinks will stay icy cold and hot drinks will stay piping hot to provide you with your favorite refreshment any moment. 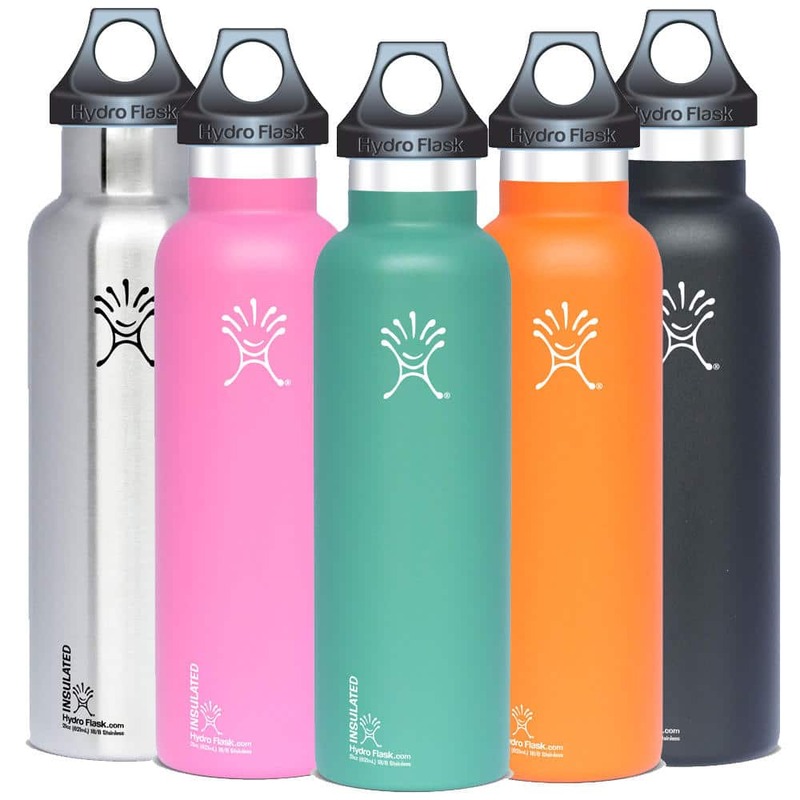 Hydro Flask has many variants, such as Wide mouth bottle, Standard mouth bottle, kid’s bottle and many others. They also come in a wide range of colors to suit everyone’s taste. Depending on the bottle types, each Hydro Flask bottles may have different features. The features that available in all of their bottles is the TempShield technology, which is Hydro Flask’s own unique double wall insulation. This technology claims to be able to protect temperature for up to 24 hours for cold drink and 6 hours for hot beverage. On some bottle types, there is a featured called the Honeycomb Insulation, which is placed inside the lid to provide additional temperature control. Hydro Flask bottles are also BPA-free, so people shouldn’t be worry about altering their genetic makeup by drinking this bottle water. The Hydro Flask in our picture above is the 40 oz Wide Mouth Straw Lid bottle, which featured with large capacity, suitable with most Backcountry hydration filters, made from durable 18/8 Pro Grade Stainless Steel, BPA- free, Lifetime Warranty, able to keep cold beverage up to 24 hours, and hot beverage for up to 6 hours, and coated with Hydro Flask proprietary powder coat to make the bottle sweat free, grip easily and extra-durable. 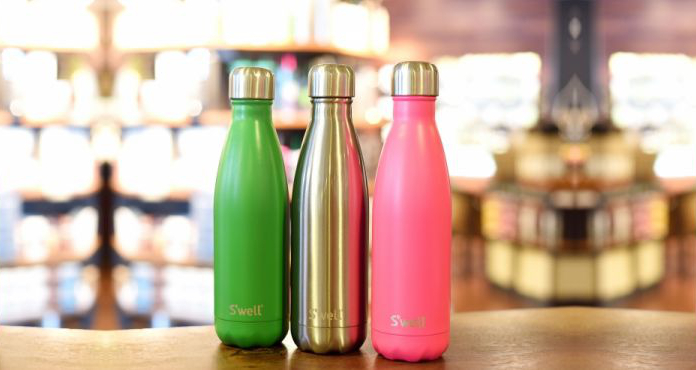 S’well is a brand and a company of reusable water bottle founded by Sarah Kauss in 2010 headquartered in Manhattan. S’well now not only produce water bottles, but also tumblers. S’well currently have four line of products on their catalogue, namely The Roamers, Travelers, Tumblers and Bottles. Each one of these lines consist of many variants by color. The one that with the most variants is the Bottles line. The Roamer Collection is the biggest among them all at 40 oz. and available in five colors. Roamer is designed to be on-the-go pitcher and shares at parties or picnics or for staying hydrated during an intense workout or long trip. Travelers is designed to contain smoothie or coffee and bring them together with you in your activity. This collection is available in 13 variants. Tumbler Collection is designed to accompany you, while enjoying your favorite beverage, whether it is hot or cold. With the special coating this Tumbler will not sweat, so you can put it down without a coaster and available in 7 variants. The most popular line of them all is the bottle line, which has more than 90 variants by design and available in three sizes. The S’well bottle in our picture above is the 17 oz. Blue Suede in Shimmer Collection, which featured glossy lacquered finish that will capture the subdued, wavering light creating an unparalleled radiance. This bottle is built sturdy with High Grade 18/8 Stainless Steel and BPA-free. It also triple-walled for maximum insulation and will not sweat or leaving no condensation on the exterior. This S’well bottle is claimed to be able to keep cold beverage stay icy cold for 24 hours and keep hot beverage piping hot for 12 hours. The mouth of the bottle is also wide enough to put ice cubes into it and fit most of standard-sized cup holder. Now it is time to compare both of Hydro Flask and S’well bottle. Both of them are vacuum insulating bottle, which means they can keep the temperature inside the bottle for longer period compare to regular water bottle. 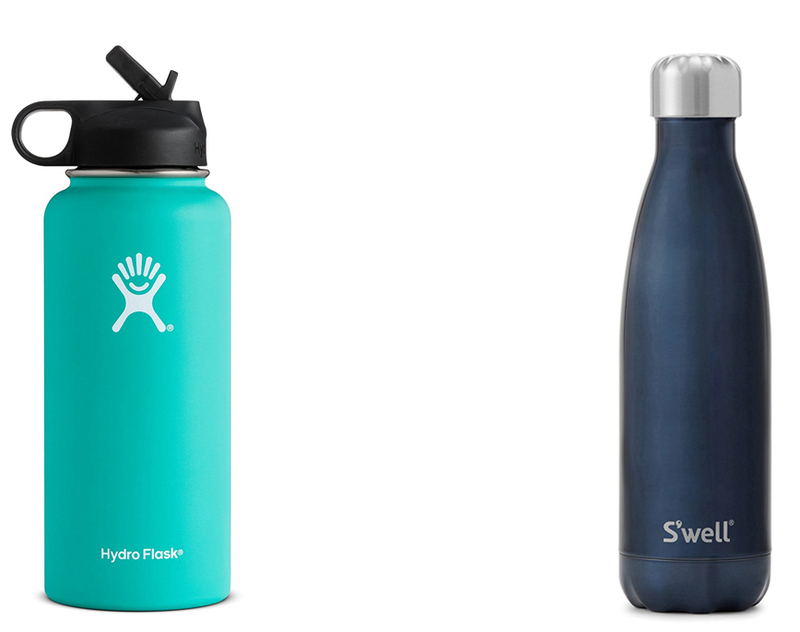 The design of both Hydro Flask and S’well is clearly different, Hydro Flask bottle designed to look sporty, while S’well has a chic and elegant appearance. S’well also has variety of finishing, such as the Swarovski and the Metallic collection. In the inside features, what differ them the most is the amount of layers used to build the bottles. Hydro Flask only used two layers, while S’well has three layers, which caused the S’well bottles have better ability in keeping hot water longer than Hydro Flask. When comparing both aside from the ability to keep your beverage cold or hot, you may also choose them based on your personal taste, such as design and color. In our opinion Hydro Flask is better, since they are available in wider range of sizes and look more simple to be carried around.